Having a summer garden has always been a favorite of mine! I remember the first time I saw my grandmother cook purple pole beans and when she put them in the boiling water they turned bright green! After that I believed that everything that came out of the garden was magic! Every year I plant cucumbers, tomatoes, peppers, and a copious amount of herbs! Basil is always one of my favorites as I truly believe the smell of summer comes from this delicious herb. Here is a little different spin on an old favorite! Place the walnuts and garlic in the bowl of a food processor fitted with a steel blade. Process until coarsely chopped, about 10 seconds. Add the basil leaves, salt, and pepper and process until mixture resembles a paste, about 1 minute. With the processor running, slowly pour the olive oil through the feed tube and process until the pesto is thoroughly blended. Add the Parmesan and process a minute more. 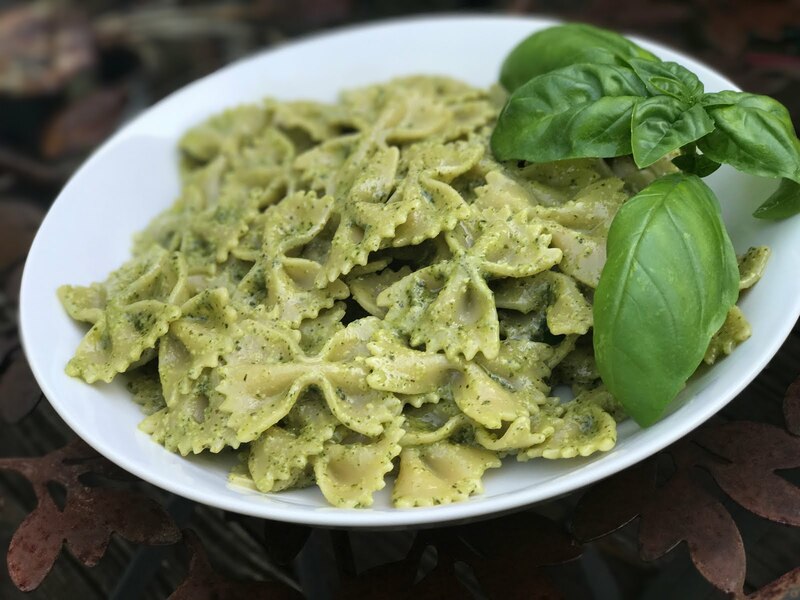 Use pesto immediately or store in a tightly sealed jar or air-tight plastic container, covered with a thin layer of olive oil (this seals out the air and prevents the pesto from oxidizing, which would turn it an ugly brown color). It will keep in the refrigerator for about a week. (If you're planning on freezing it, omit the cheese and stir it in once you defrost it.